Write to the Environment Minister before March 11th! First Nations opposition to heavy oil exports on the BC coast is unanimous, including in Eagle Spirit President’s home community of Lax Kw’alaams. PRINCE RUPERT, BRITISH COLUMBIA (February 12, 2015) – The Coastal First Nations say a recent announcement by Eagle Spirit Energy Holdings Ltd. is misleading because it ignores unanimous opposition among First Nations communities on the BC coast. Eagle Spirit Energy Holdings Ltd. President, Calvin Helin, is from Lax Kw’alaams, a First Nation community located North of Prince Rupert whose territory includes the proposed location of the company’s export terminal at Grassy Point. First Nations leader and Mayor of Lax Kw’alaams, Gary Reece, has made it clear in conversations that his community does not support oil exports through its traditional territories. Lax Kw’alaams Hereditary leadership is also opposed to the proposed pipeline. Opponents of the pipeline note the fact the announcement was made in Calgary. 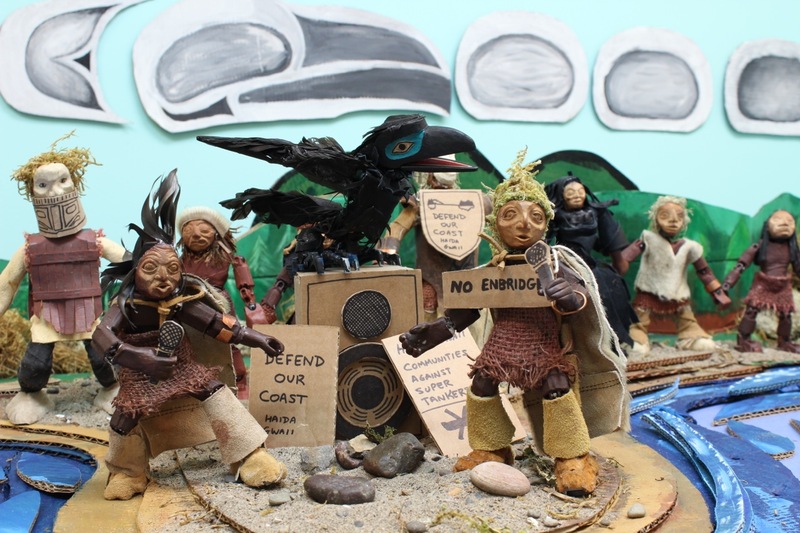 “Until they can stand up in British Columbia and announce that they have the support of First Nations on the coast, their proposal is dead in the water, just like Enbridge’s Northern Gateway,” said Art Sterritt. Artists and community came together in Skidegate recently to create a colourful sign with a clear message: “Haida Gwaii United Against Enbridge.” An impromptu session, the painting was sparked by a group of individuals disheartened by Harper’s recent approval of the Northern Gateway pipeline. The group got the materials together to get started and artists Corey Bulpitt, Fanny Aishaa, and Rob Geary heard about it and volunteered to help out. With the support of the Skidegate Youth Centre space, the artists led participants in the design and spray painting of the banner. The Haida Gwaii Against Enbridge banner saw it’s first public appearance in the march at Hospital Days in Queen Charlotte. 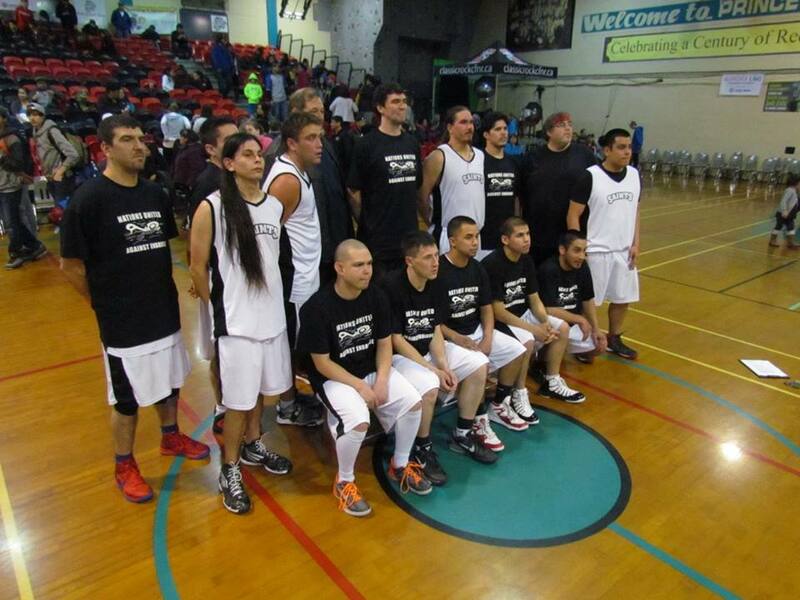 The Haida delegation at this year’s All Native Basketball Tournament brought T-Shirts with them promoting unity amongst First Nations on the coast. Members of Haida Gwaii CoASt screen printed the Tees in Masset to get a strong message out that we don’t want the pollution of our waters brought on by supertankers. Watch for more T-Shirt and sticker campaigns in the upcoming months. 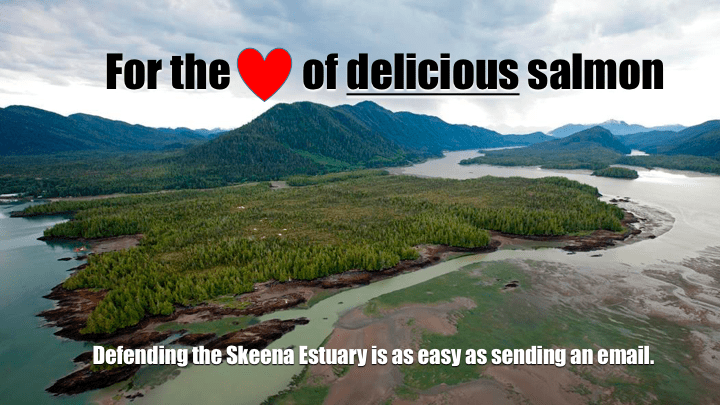 Let’s get the word out that we don’t need tarsands bitumen travelling through our waters. We want healthy salmon, killerwhales and people! While the members of the Haida Raid production were feisty and bold at the protest action, the event was largely peaceful and no arrests were made.